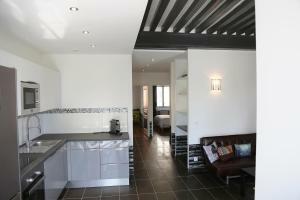 I really enjoyed the atmosphere of the apartment which had been created by the owner's very restful.. thank you. It was different than a normal stay, because the walls and the domestic equipments were very stylish and had much character. It was very interesting and a different experience, we liked it. Parking in front of the door free of charge. The location is opposite the Centre des Congres. It is approx. 300 meter walking distance to the entrance of the exhibition facilities. The room is very large and has a large terrace. Please be aware that there is a busy road in front of the apartment, but no problem sleeping at night with doors closed. Keys are left in a code box, so you can arrive and leave when you want. Good privacy because of private entry. Close to Lyon citi Congress. Very good WiFi. Hot water from shower. The owner is very kind and he waited in the midnight after the late airplane arrival. He also showed great service to the airport. Great hospitality by owner Pascal. Wonderful place, very comfortable, clean and spacious. 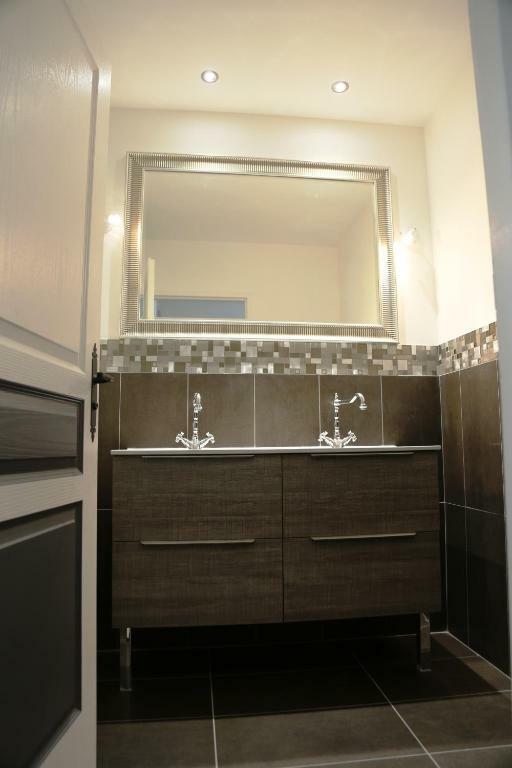 Everything you need is in this appartment. 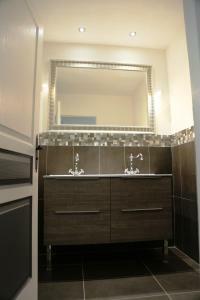 Comfortable bad, nice bathroom, equiped kitchen with great nespresso coffe machine. Nice view. Despite small minuses I would go there again and can recommend to anybody. We had an excellent stay that exceeded our expectation. Beautiful view, great apartment. We will visit again, and recommend to friends. Tout était parfait : votre hôte Pascal accompagne vos modalités pour que vous passiez un séjour des plus agréables, un véritable facilitateur ! L'emplacement est idéal par rapport au centre des Congrès (qq mn a pied par la passerelle de la Paix) et à quelques mètres du bus pour aller en centre ville. La décoration intérieure très cosy, l'ensemble des équipements, le confort, la propreté. il ne manque rien ! Le frigo est garni et il y a même de quoi profiter d un petit dej ! On est comme à la maison. Lock in a great price for Lyon Cité Internationale – rated 8.9 by recent guests! 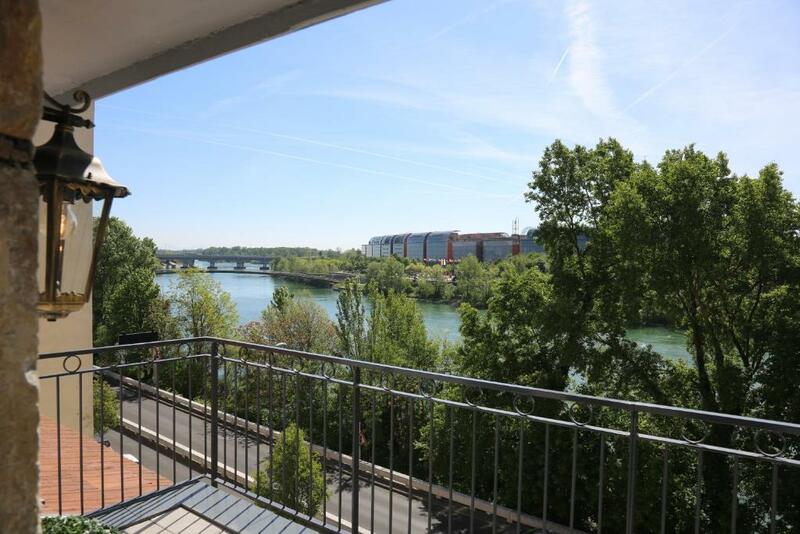 One of our top picks in Caluire-et-Cuire.Lyon Cité Internationale is located in Caluire-et-Cuire, 0.6 mi from Lyon Convention Center and Parc de la Tête d'Or. Free WiFi is available. 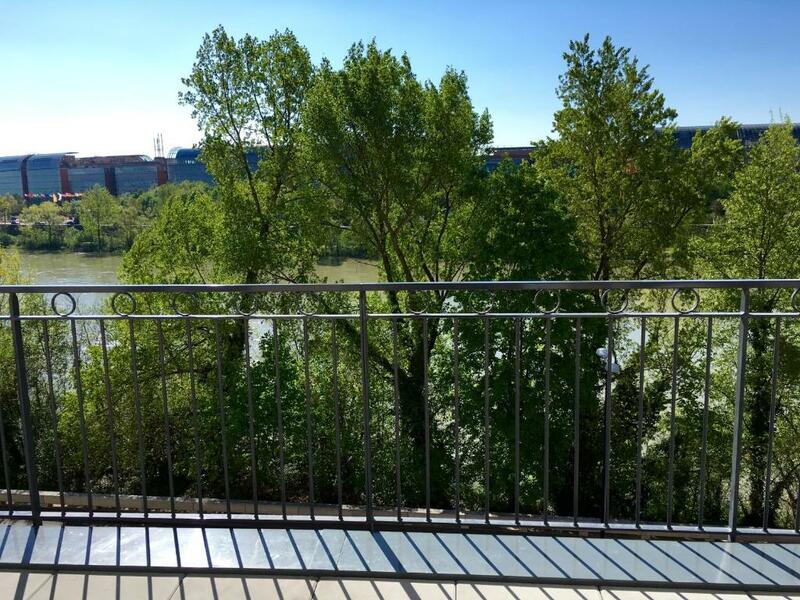 Opening to a balcony with river views, all units are fitted with a kitchen with a dishwasher. An oven is also featured, as well as a coffee machine and a kettle. Breakfast items including tea, Nespresso coffee pods and biscuits is provided with a supplement, in order for guests to prepare their own breakfast. Lyon Cité Internationale offers a sun terrace. Lyon is 2.2 mi from Lyon Cité Internationale, while Villefranche-sur-Saône is 15 mi away. 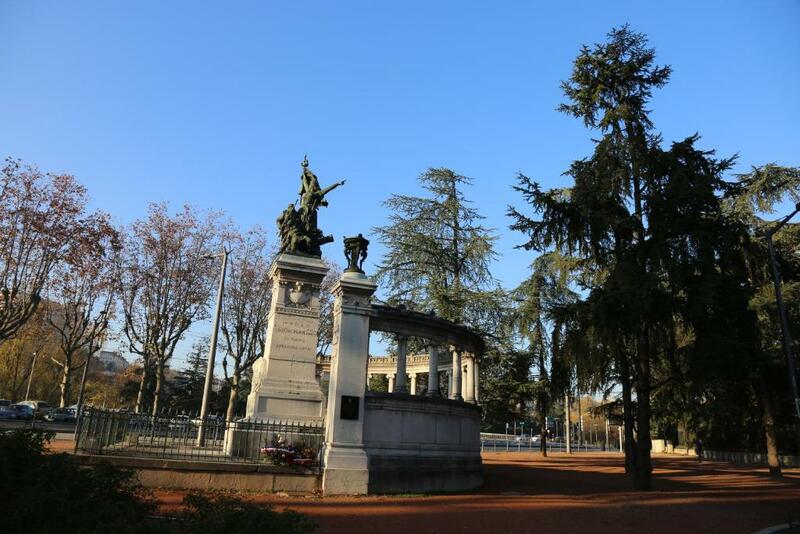 The nearest airport is Lyon - Saint Exupery Airport, 12 mi from the property. 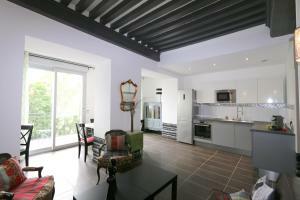 This property also has one of the top-rated locations in Caluire-et-Cuire! Guests are happier about it compared to other properties in the area. When would you like to stay at Lyon Cité Internationale? This apartment features a seating area, electric kettle and balcony. Other facilities include a Nespresso coffee machine and a kettle. Breakfast items including tea, Nespresso coffee pods and biscuits is provided, in order for guests to prepare their own breakfast. This suite features a flat-screen TV. Other facilities include a Nespresso coffee machine and a kettle. Breakfast items including tea, Nespresso coffee pods and biscuits is provided, in order for guests to prepare their own breakfast. 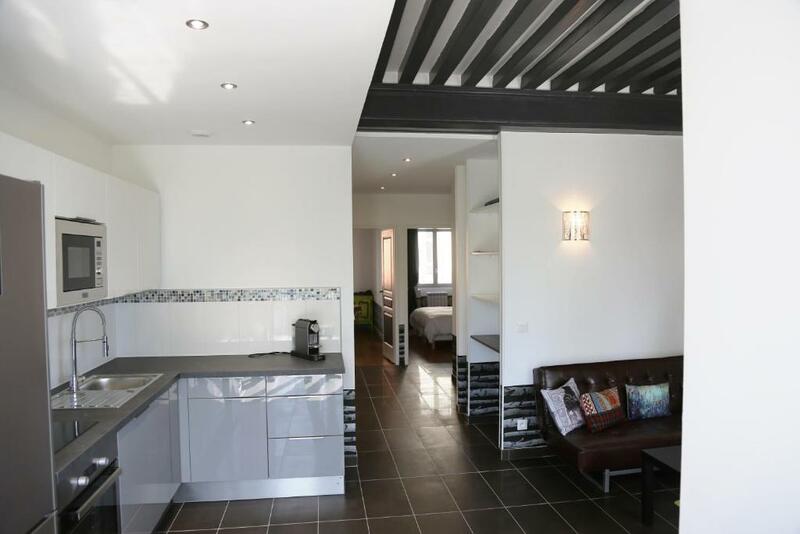 This apartment features a terrace and a flat-screen TV. Other facilities include a Nespresso coffee machine and a kettle. 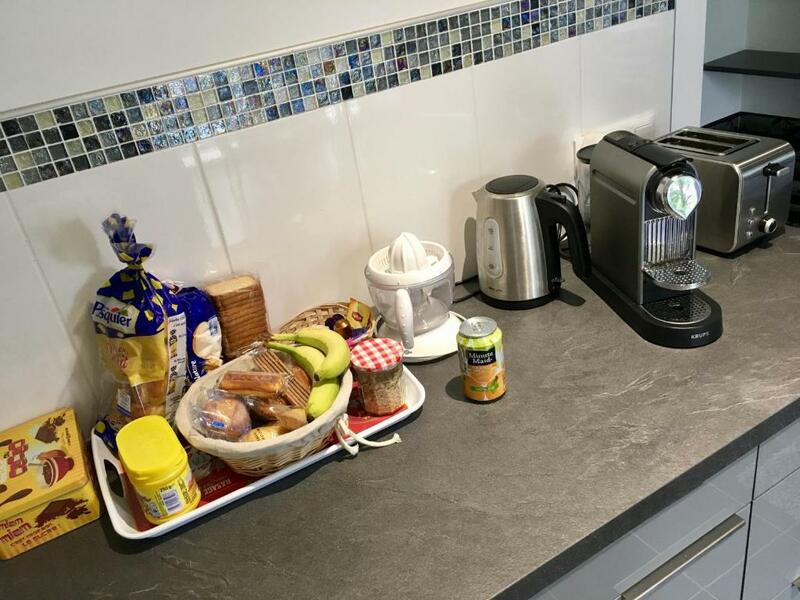 Breakfast items including tea, Nespresso coffee pods and biscuits is provided, in order for guests to prepare their own breakfast. 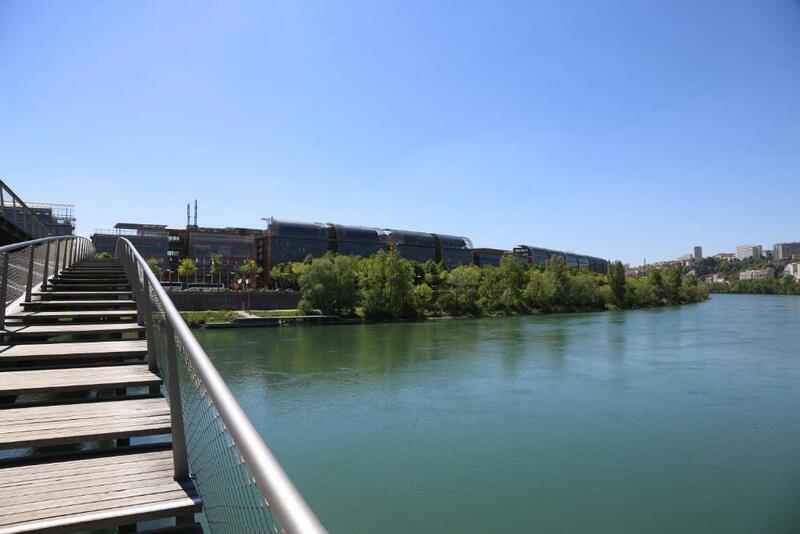 House Rules Lyon Cité Internationale takes special requests – add in the next step! A EUR400 damage deposit is required 0 days before arrival (about USD448.10). This deposit will be fully refunded 0 days after check-out, as long as there isn't any damage to the property. A damage deposit of EUR 400 is required. That's about 448.10USD. You should be reimbursed on check-out. We didnt find a way to refresh the air in the bedroom as its in the backside of the very ambientic wall it has no windows. Its awesome by the atmosphere, but hard to get fresh air in it. Maybe there is a switch for air ventilation, but we didnt find it. A bit complicated procedure to get in given by phone (pin code to enter main door and later another code to open the key - like in the escape room:) ). Anyway owner appeared very fast and there was no problem. Parking is public and very busy. Needed to pay although it says is for free. Later I learned that owner has a garage, So please ask for it in advance. Real big minus is for breakfast. It's not so much and it's typical french - some sweet rolls and jam and coffee. I think this should be changed for continental with possibility to have some sandwich or egg/sasusage.